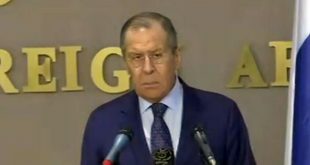 Moscow, SANA- Russian Foreign Minister Sergei Lavrov said that eradicating terrorist threats in Syria is a priority, noting that Sochi agreement on Idleb which was reached on September 17th is being complied with. 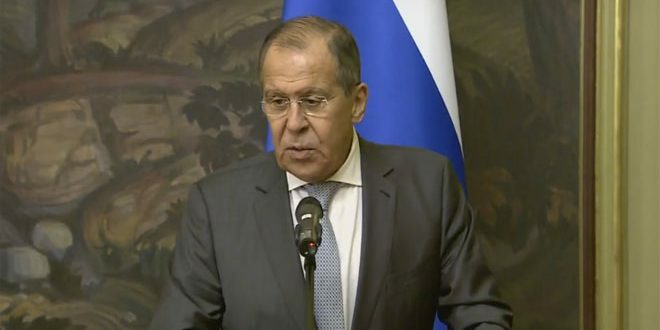 Lavrov made his remarks during a press conference with Minister of Foreign Affairs of Andorra Maria Ubach in Moscow on Wednesday. 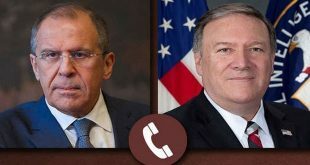 He said that the Russian side’s information confirms that agreement on Idleb is strictly complied with, adding that the Turkish side has the biggest responsibility as the deadline expires on October 15th. 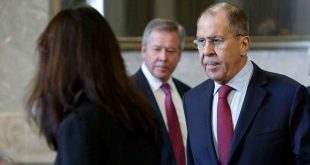 Commenting on Russia’s position regarding the statements made by Prime Minister of the Israeli occupation Benjamin Netanyahu on the occupied Syrian Golan, Lavrov said that “the status of the Golan Heights is determined by UN Security Council resolutions,” he reiterated. “I think that any changing of the status or bypassing the Security Council would be a direct violation of these resolutions,” he added.